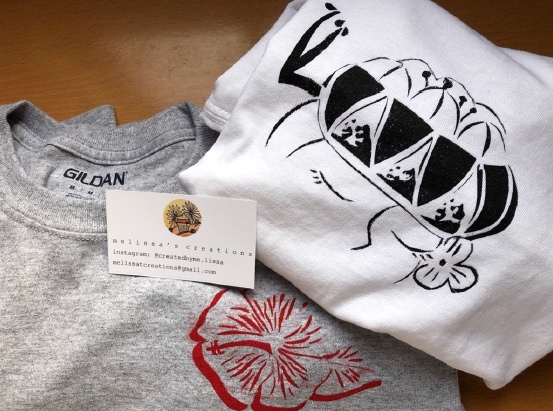 T-shirts created by Melissa Tran will be featured at the OAA holiday boutique on Dec. 9. GARDENA — The Okinawa Association of America (OAA) in Gardena will host its first-ever mini craft fair on Sunday, Dec. 9, from 9 a.m. to 1 p.m. at the OAA Center, Room 103. Parking is limited; street-side parking is available. Space is also limited, so there may be a waiting period to avoid overcrowding. Though small in size, this holiday boutique is unique in that it will include some Okinawa- themed items such as art prints, greeting cards, tote bags, and T-shirts. The organization also hopes that the event will benefit youth, independent creators, and community vendors by providing a platform to showcase their work. 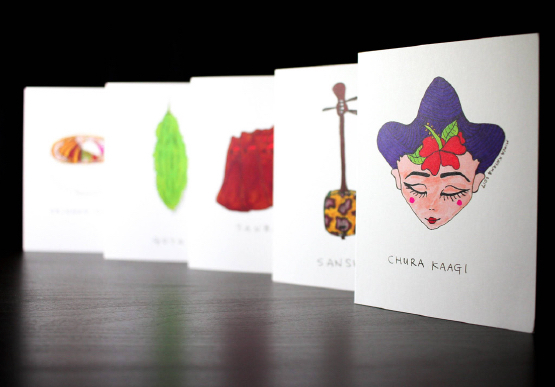 Miwa Kayama designs greeting cards with Okinawa themes. Arakaki & Associates: Okinawa- and Japanese-themed mugs, pouches, tote/wine bags, and more. Choichi Kai L.A.: handmade arts and crafts, baked goods. Flor Kaneshiro: Okinawa-themed art prints/postcards, buttons, stickers. Melissa’s Creations (Melissa Tran): handmade bookmarks, magnets, notebooks, postcards, and more including, Okinawa-themed items. OAA: white elephant sale plus Okinawa-themed tote bags and T-shirts. 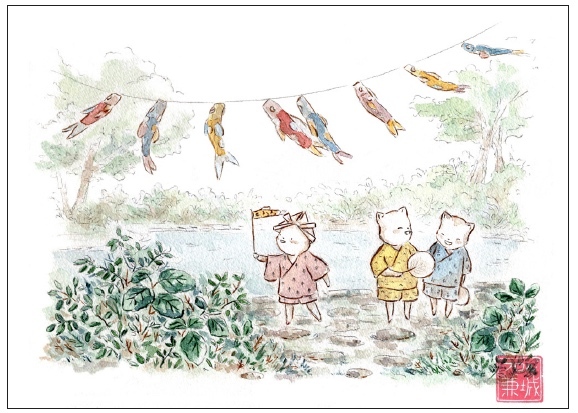 Sent by Seeds (Miwa K. Kayama): greeting cards and postcards, including Okinawa- and Japanese-themed items. Janice Yamanaka: handmade crafts, jewelry, magnets, origami, ornaments, pins, and more, including Japanese-themed items. As a way to give back to the community, the OAA will be having a charity drive for children in need. Guests are encouraged to bring shelf-stable food items (e.g., canned foods, oatmeal, whole-wheat pasta, powdered milk, etc. ), which will be donated to a local food bank.